Rwanda will welcome World Travel Awards for the first time, with the Africa Gala Ceremony 2017 set to take place in the country’s thriving capital, Kigali, on October 10th. 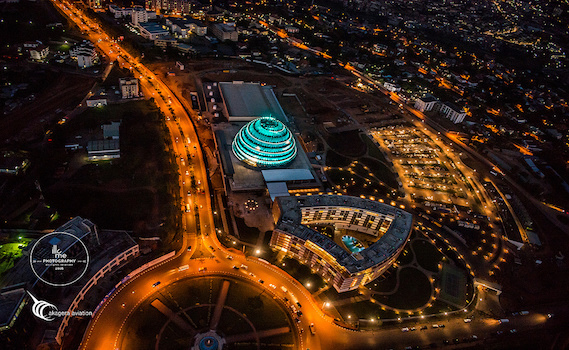 Spanning several valley and hillsides, Kigali – renowned for its cleanliness and warm hospitality – is arguably one of the most attractive African capitals. Its ideal location, in the centre of Rwanda, also makes it an ideal base for exploration. World Travel Awards president, Graham Cooke, said: “It will be an honour for the World Travel Awards to visit Rwanda for the first time, later this year. “The heart of Africa, Rwanda has become rightfully known for its spectacular scenery – think thundering waterfalls, towering mountains and virgin rainforests – and rare wildlife. World Travel Awards Africa Gala Ceremony 2017 will take place at the five star Radisson Blu Hotel & Convention Centre – which features the first convention centre in Rwanda with room for up to 5,000 delegates – alongside the Africa Hotel Investment Forum and AviaDev Africa. The events will take place from October 10th-12th. The leading hotel investment conference that connects business leaders from the international and local markets, driving investment into tourism projects, infrastructure and hotel development across Africa, AHIF is attended by the highest calibre international hotel investors of any conference in Africa. Meanwhile, AviaDev Africa is a unique event bringing together airports, airlines, governments, industry suppliers and tourism authorities to determine the future air connectivity and infrastructure development of Africa. The event provides an opportunity for the aviation and hotel development communities to share intelligence on their future plans, catalysing tourism development on the continent. Jonathan Worsley, chairman of AHIC organiser Bench Events, said: “I’m delighted that the World Travel Awards has chosen to hold its Africa ceremony on the main stage at AHIF. Voting for the World Travel Awards Africa Gala Ceremony concludes on August 21st.